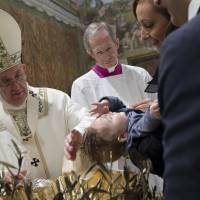 VATICAN CITY - Pope Francis lays out his case for emphasizing the merciful face of the Catholic Church in his first book as pontiff, saying God never tires of forgiving and actually prefers the sinners who repent over self-righteous moralizers who don’t. “The Name of God Is Mercy,” a 100-page conversation with Italian journalist Andrea Tornielli, is being published this week in 86 countries to help kick-start Francis’ Holy Year of Mercy. A copy was provided in advance to The Associated Press on Sunday. “These are men who live attached to the letter of the law but who neglect love; men who only know how to close doors and draw boundaries,” Francis is quote d as saying. 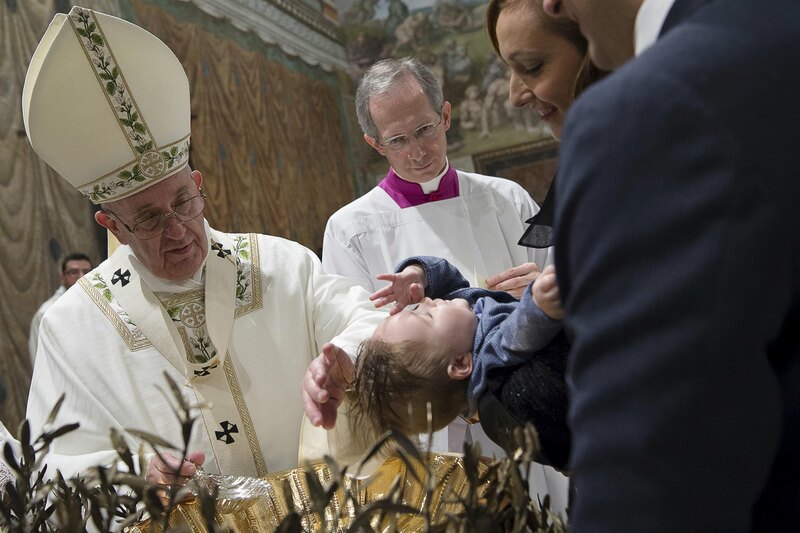 Francis has rankled many conservatives with his frequent dismissals of theological and legalistic arguments stressing doctrine over his more pastoral message of welcome and mercy for society’s most marginal. The clash in approaches has been particularly evident in recent church debates over marriage and divorce. The Vatican is officially launching the book Tuesday with a high-level panel discussion featuring Francis’ secretary of state, Cardinal Pietro Parolin, and “Life Is Beautiful” actor Roberto Benigni, signaling the importance Francis places on getting the message out. Francis says the church has long held that gays should be treated with dignity and respect and seen as individuals. And he goes to some length throughout the text to cite scripture and previous popes to make clear that his radical agenda is fully rooted in the church’s basic teachings. Francis has made clear from the start of his pontificate that his would be a papacy focused on mercy, and he called a jubilee year to emphasize it. Throughout the book, Francis refers repeatedly to his own ministry to prostitutes and prisoners in Argentina, showing how his own personal encounters with society’s outcasts have shaped his view about the faith and formed the bedrock of his papacy. But Francis’ opening isn’t a free-for-all: He says of course prisons can’t throw their doors open and let violent criminals out onto the streets. But he says once a debt is paid, prisoners must be reintegrated back into society and welcomed. And he distinguishes between ordinary and even repeat sinners and those who are corrupt, saying corruption is a condition, a state of life and often a hypocritical one incompatible with Christianity. “The corrupt man often doesn’t realize his own condition, much as a person with bad breath doesn’t know they have it,” he says. Some conservatives have balked at Francis’ mercy-over-morals priorities, saying it has sent confusing messages to the faithful especially after two previous popes spent so much time stressing doctrine. Even some cardinals have called on Francis to make clear-cut policy statements on certain hot-button issues, especially on the divisive question of whether divorced and civilly remarried Catholics can receive Communion. In the book, Francis doesn’t commit himself one way or the other, but he indicated that his ultimate decision may draw on a personal experience. Francis recounts that one of his nieces wanted to marry a man who had children from a previous marriage but hadn’t yet obtained an annulment, a church decree that his first marriage was null. The couple got married in a civil ceremony and went on to have three children. Francis recalls that every Sunday when they went to Mass the man went to confession and told the priest that he knew he couldn’t be absolved from the sin of adultery, but he asked for a blessing. “This is a religiously mature man,” Francis said.